Nope, the dispute between the French and the Brits will never come to an end. This goes on for so many centuries but we only need to see the good coming out of it…When we talk beauty, this translates into higher quality products and lower prices. 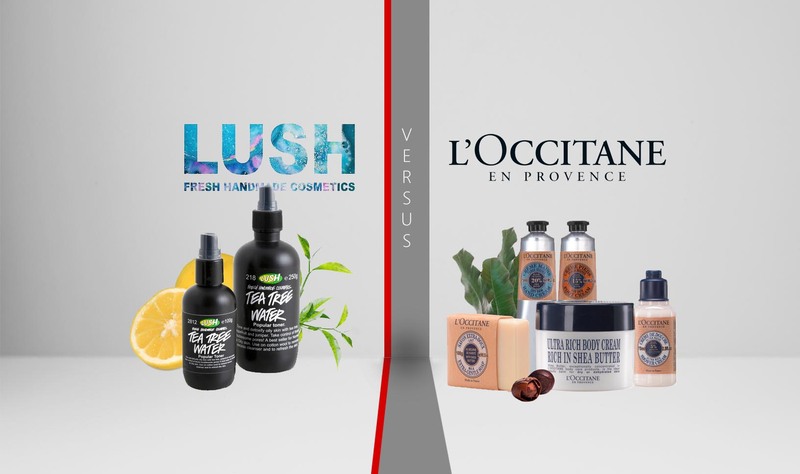 If we sit town and put side by side the French from L’Occitane and the Brits from Lush, the comparison is almost non-conclusive, in many ways. 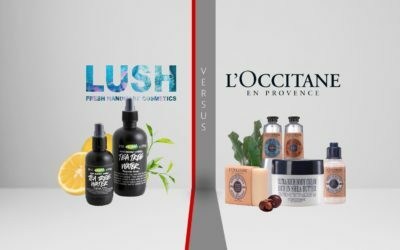 While L’Occitane brings into its products the luxurious feel of France, Lush stands out with its soaps and continuous fight for the animal rights. 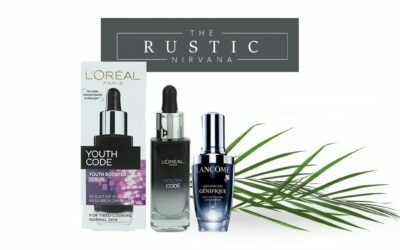 If we get on web, it’s easy to see that both brands get reviews from regular customers and beauty editors just as well. Some love their products, some have comments- Lush products may appear to strongly fragranced to some. None of these brands is BBB accredited, but this doesn’t stop them from being famous, popular brands. When you go on Facebook or any other social related web site, you see that number of Likes for both brands are very similar. They are both on Pinterest, Twitter or YouTube. They post daily on the social media pages and seem to be active and popular at the same. Shopping online from the official websites seems to be pretty secure for both brands and none of them had any security problems in the last three months. As a constant and assiduous fighter for various social causes (animal rights is only one of them), Lush had some problems in the past as its website had to be redone because of hackers. You can use the most known credit cards when buying online and each brand has its rules when it comes to returning the purchases. 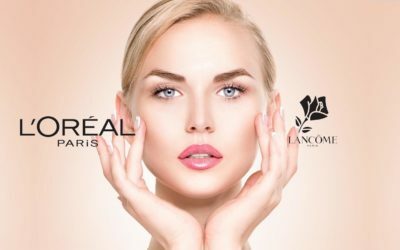 These brands offer high quality natural products which reflects in the high prices, comparing to the average quality beauty products. As it doesn’t test its products on animals (only on human volunteers), Lush is the choice for the environmental conscious customer. 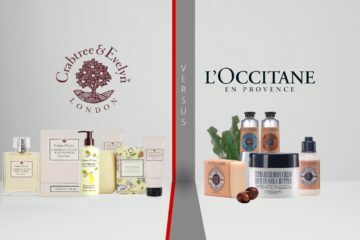 For the customer loving luxurious, natural beauty, L’Occitane might be the obvious choice. Both L’Occitane and Lush have created a body lotion that works great for hands as well on body. 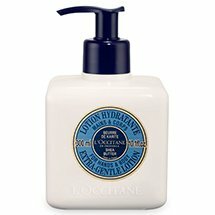 The hands&body lotion from L’Occitane has a light, silky texture that gives a smooth and soft feel on hands and body. Lush created a hands&body lotion that has a nice, buttery texture and gets absorbed pretty fast by skin. The body lotion from L’Occitane has a light, floral scent that is also long lasting and works great for women and men just as well. The natural smell of Lush hands&body lotion lasts for quite some time also. L’Occitane enriched its body lotion with 5% Shea butter, oat milk and honey extract so that the skin is moisturized and soft afterwards. The hands&body lotion from Lush is made of natural ingredients and it’s free preservatives. The body lotion from Lush is amazing for various skin problems and it soothes any eczema, helping the skin heel. You only need ½ pump to use from L’Occitane body lotion and it can keep you for good four months. As it has amazing healing powers just as well, the hands&body lotion from Lush is more expensive than the one from L’Occitane. As you want to have a nice, shiny, healthy hair all the time, you do need to use a good shampoo that helps you get that. 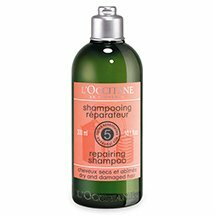 L’Occitane created a repairing shampoo for those of you who color treat, blow dry or use curling iron along with drying styling products, in order to obtain a healthier hair. Lush gives a shampoo that goes great for all types of hair, especially for limp locks. The repairing shampoo for L’Occitane contains five essential oils: Angelica, lavender, ylang-ylang, patchouli and geranium. Along wheat proteins, they all strengthen, regenerate and soften the damaged and dry hair. 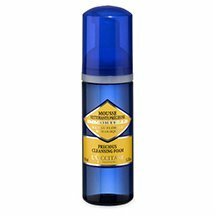 This shampoo foams well, cleans without stripping and leaves the hair soft and smooth from roots to end. The sea salt used in Lush shampoo is full of minerals and de-greases hair, removing also dead skin cells and dirt, keeping the natural oils for a fresh clean feeling. The sea salt is combined with extra virgin coconut oil, avocado butter, seaweed infusion and they all give massive volume to hair in need. The fresh citrus juices give the Lush shampoo the power to make your hair unbelievably shiny. While L’Occitane hair shampoo smells nice and discreet, the Lush shampoo leaves a fresh limey fragrance into your hair. In order to give your body a proper care, you also need to use from time to time a body scrub. L’Occitane created a body scrub that contains 10% Shea butter, apricot oil and finely ground nutshells. It resulted a body scrub that is more a rich cream that exfoliates the skin, without clogging your shower or leaving greasy residues in the bath tub. Which might be a problem with a regular body scrub, we admit. The face &body scrub from Lush simply polishes the skin and it’s a highly abrasive scrub. It comes is a decent sized tub, nicely and funny packaged. The body scrub from L’Occitane smells amazing and you only need to use a small amount for the whole body. A little goes a long way for the Lush body scrub also and its lime scent is not everyone’s favorite. There are some that still use it, despite the smell they don’t like that much. 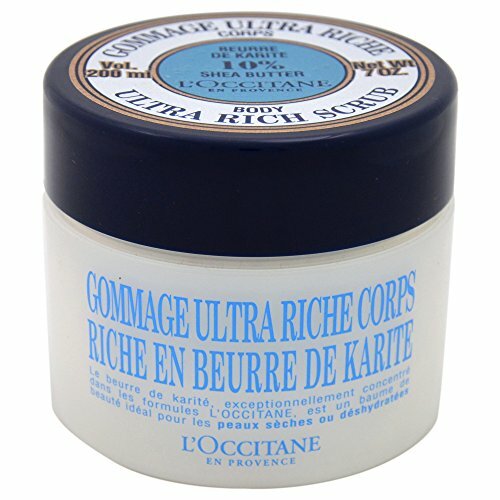 L’Occitane’s body scrub works for the most sensitive skin also. The Lush face&body scrub is amazing for the blackheads and the clogged pores, toning the skin at the same time. The body scrub from L’Occitane gives your skin a luxurious, soft feeling and even got rewarded for its high quality. The face&body scrub from Lush contains Ocean salt (great for the dull and oily skin), therefore it shouldn’t be used for the most sensitive skin. Even if you have or not specific skin problems, anyone knows you should use a cleansing skin product daily or at least from time to time. The Precious Cleansing Foam from L’Occitane is addressed to the normal to oily skin and cleanse your skin, leaving a nice, fresh feeling afterwards. The Lush Dark Angels Facial Cleanser is not a typical cleanser but it does the same thing to normal to oily skin: cleanse it, leaving an invigorating feel to your skin. The cleansing foam from L’Occitane contains Immortelle floral water and is lightly florally scented. The facial cleanser from Lush works great against the blackheads on the nose and leaves a matte and fresh skin behind. It has amazing results for the long time, mild acne and may be used in the morning as well as in the evening. 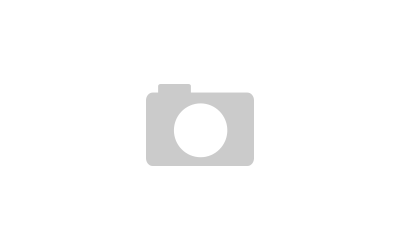 L’Occitane’s cleansing foam doesn’t dry the skin and it nourishes and hydrates it as well. As it takes away all the oil from your skin, the Lush facial cleanser should be followed by a moisturizer and some recommend not to use it daily. Still, it’s a great product for the normal to oily skin. These products are similar when it comes to prices. 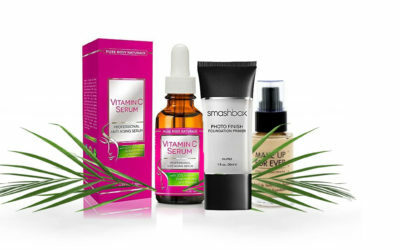 If you want to pamper your face and give it a proper care the whole time, you also need to use a water toner before applying all the other products…serum, face cream. You know the drill. 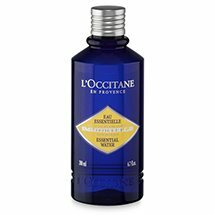 L’Occitane created an alcohol-free toner, enriched with Immortelle floral water and derived hyaluronic acid. This toner smells nice, doesn’t dry the sensitive skin and works great on normal to oily skin. The Tea Tree water from Lush brightens up the tired, spotty, oily, dull skin and even clears up the acne. The tea tree is a great astringent and also has antibacterial properties. The Essential water from L’Occitane combines the lavender with a floral scent and leaves a nice smell on your skin. You can use it in the morning as well in the evening, after cleansing. You can use it alone for instant freshness. The face toner from Lush contains tea tree, juniper berry and grapefruit, bringing balance to the skin tone and clearing it from blemishes. For an enhanced effect, you can keep it in the refrigerator. Both products work great for the dry, very sensitive skin and don’t irritate the skin.